Physical death is at best a temporary reprieve -from- the human condition, that is, until the soul is compelled to complete its unfinished "karmic" business and reincarnate into yet another body. If the soul desires liberation from this eternal cycle, it must do so -within- the human condition through a process called "Ascension". Over many eons of incarnations within a varied assortment of bodily shells, we have made innumerable journeys through many alternate realities, dimensions, worlds, even other universes... before finding ourselves here now on this earthly plane. And after leaving this life, the journey continues as we find ourselves reincarnating again and again into more spaces, places, and various bodies, on and on. In an eternity of existence, the possibilities are endless and the drama that is the "wheel of life" turns round and round. Yet, through all our journeys there lies within our heart a constant yearning: to reclaim our lost innocence and return to our spiritual home. Some say this home is a place ("Eden"? ), but in essence it is the awareness of being at one with our Higher Self, Creator, Source or God. This "return" is the primal urge and goal of Ascension. The "incarnation process" (or as some would say, the “Fall from Grace”) of the unlimited unbound soul, was (for whatever reasons) initiated by a willful intention or choice that led it to partake in the created universe. This choice bound the soul to a series of cascading events, starting with the soul being thrust into the cosmic birthing process, carried away upon the undulating waves of the creative (manifesting) energies of "Shakti Kundalini" - the very substance and "Mother" of the universe. Within this cosmic birth process, the soul found itself moved through many inter-dimensional pathways and portals, finally pushed out and landing onto any number of dimensional realms. In a very short time, in order to maneuver through the ocean of that space, the soul took on the vibrational vestments of that place, which then became the sheaths or veils that made up its first body. Here then is what some souls may consider their physical "point of origin" or "home", even though this will be just one of many landing points the soul experiences throughout its long journey through time and space. Once the soul becomes veiled or embodied, the process of being released from these veils of density and "ascending" up from the bounds of creation (the "return to Eden", so to speak) can be initiated by utilizing the destructive (dematerializing) energies of the unmanifest Source, respectfully referred to here as the "Shiva Consciousness". The Ascension process - within the human condition - is not necessarily the removal or disintegration of the astral, solar, etheric and causal bodies (the incarnation process in reverse). Rather, ascension here would be the liberation of the consciousness or soul from its attachments to all these bodily shells, which would then allow the soul to realize its oneness with the Higher Self, Source, Creator or God while still in human form. Those who "ascend" in this way still maintain the ability to function within all these bodies without having to leave them behind at the point of a physical death. Around and in between all of your energy bodies are any number of "membranes", "sheaths", “walls” or "veils" that keep the various bodies, energies and aspects of self separate from each other. When the soul was traveling through and incarnating into the different dimensions, these veils were (hopefully) formed, allowing the different bodies, energies and selves to interface, transform and flow from one level to the next. When the incarnated soul is ready to ascend, integrate and unite with the next level of higher energy and consciousness, the veils between must be removed. There is a misconception that when the physical body dies, your whole being ascends into some sort of blissful paradise. Depending upon certain variables, this may or may not be true. Though your soul has forcibly been ripped of its "physical" garments, you still have many other energetic bodies, veils and multi-dimensional selves or "aspects", all of which are not automatically purified upon physical death (physical death only effects the physical body). So no matter where you go (in time or space) as long as these other energetic bodies, veils and selves are not purified, they will continue to affect your subjective experience of any reality you happen to find yourself in. Any body veil and aspect not purified will act as a sort of glass ceiling, preventing the lower levels of your consciousness from ascending, as well as interfere with your ability to receive the guidance and energies descending from the higher levels of spirit. The Ascension Process is activated and guided by a Higher Power or Consciousness that exists beyond the edges and boundaries of our human selves. The only thing we can do to assist that process is to be willing to let go or "surrender" our lives and any semblance of ego control and identity, all attachments, limited perceptions, worldly truths, thoughts, feelings, belief systems, everything and anything... up into the accepting loving arms of the Higher Power. "Worldly truths" are created from the narrow contracted state of awareness that is the "ego mind". The ego mind is where all that is experienced of creation is filtered (and distorted) through ones physical sense perceptions, mentally translated as symbols or belief systems... all limited conceptual interpretations of the infinite. To realize the unlimited universal "Divine Truths" beyond, we must be willing to go through a deep process of total disillusionment, questioning the reality of everything we are seeing, feeling, hearing, thinking. As this process of disillusionment happens, the false structures of what the ego mind believes and holds as true comes crashing down. You may think and feel that all reasons for living and being in the world are over. You may feel absolutely miserable and deeply depressed. Your perception of the world is turned inside out and upside down, and like Humpty Dumpty you may feel you will never be able to pick up the pieces. The ascension process itself is about dismantling or deconstructing the attachments you have to the dense limiting energetic structures of your old earth bound life. If you are in a balloon and want to rise up to the highest heights possible, you first must release all tethers (your ego safety cords) holding you down. And no matter how helpful to you in the past, you must then let go of all ballast (your stuff). The raising up of consciousness requires a letting go of the old. This may even require the releasing of ones religion, practices, teachers and spirit guides. They may have served you well in the past, but if you want to go beyond, you have to let them go (with your thanks). All the old must be released if one is to be free and open to receiving the higher levels of Spirit. It is the ego self that has grown accustomed to and identified with all these old ways of being, thinking, feeling and doing. But something has to be given up for something new (and better) to take its place. This process of letting go may be deeply destabilizing and unbalancing to the mind, emotions and body... you may even feel like you are dying. Not to worry - it is the ego and its attachments that are dying, not the true you. Since there are so many levels of consciousness, one can experience this sort of dying process many times over... each time the next plateau is reached it is as if one is "born again" into a new self (and are given an upgrade to higher more powerful teachings and spirit guides). This death and rebirth process goes on and on until eventually you reach the highest consciousness of your own God Self.. and beyond that, one starts to discover other God Beings, and then things get really interesting. From the ashes of the old the new and greater is born. Our inner soul is pure and free, full of love, understanding, compassion, joy... but as long as we experience ourselves within and through the constraints of the human condition and limited ego mind, we don't fully realize this. However, as the density of our human (materially oriented) consciousness is freed up or “quickened” into finer more expanded subtle states of being, we may then come to realize our inner truth and be able to fully know and experience ourselves and others for who we really are. This process of raising human consciousness is called “Ascension”. Due to the seductive appeal of the material forces and lower ego mind consciousness, it is much harder to ascend our soul from out of density than it was to descend. Many newly incarnated souls (at first) find life in density to be a rich experience, full of all sorts of phenomena and novel sensations. This can be satisfying and pleasurable - for a time. However, there comes a point when every soul is fed up with this drama and starts to yearn for a freer, more peaceful and loving life. However, complications arise when the soul finds itself unable to extract itself from the attractions of the material world ("the spirit is willing but the flesh is weak"). This is due to the fact that the material has its own attractive magnetic force field. It’s like being caught in the gravity field of a planetary body – unless one has access to a greater power to resist and rise above, you are going to fall in. And if by chance you find yourself already standing on the ground (already incarnated into a body) you will have to generate an even stronger force to escape the planets attractive pull. In other words, once incarnated into a body, the soul is usually stuck there until acted upon by a very strong force beyond itself (what we may call Grace, God, Spirit, The Higher Power). On ones own, it would normally take lifetimes of arduous practice (ever masterfully guided and directed) to develop, expand, free up and harness ones spiritual power to the degree capable of catapulting (ascending) beyond the pull (gravity) of the material forces. However, with assistance from The Higher Power, as applied within the healing sessions, this process can be activated and accelerated. It required great effort exerted over a long time for human technology to evolve to the point when it could overcome gravity and send a rocket into celestial space. So too will it require great effort by the embodied human soul to evolve from the density and ascend into spiritual space. Along the way, the qualities of patience, willingness, surrender, faith, trust, courage, understanding and of course love.. will all be needed. Though everyone has these qualities to some degree or another, no one has them all perfectly developed. With assistance from The Higher Power, all these qualities are magnified and refined. Where your attention goes, there your heart is sure to follow. This is "The Law of Attraction" at work: what you focus your energies and consciousness on (ie what you feed and love) that is what you become. The thoughts, feelings and energies you invest into building a career, talent, relationship, or anything be it material or spiritual based... over time and much effort, eventually manifests in and as you. As a human experiencing life on this dimension, this can work for you, or against you. If you feed and accumulate subtle vibrations into your energy field, you and your life will become spiritual - expanded awake dynamic and alive ! If you feed and accumulate dense vibrations into your energy field, you and your life will become material - contracted asleep stagnant and dead. If you find yourself in the later situation, the question becomes... How to reverse this? There are many ways: by working for a cause, tithing money, receiving healings, etc... all these sorts of things liberate and expand your life force. It all boils down to choice - who and what you want to become - material or spiritual? This freedom of choice makes you and you alone, the master of your destiny. Power, Wisdom, Love and Light. The more you follow the guidance of Spirit - aligned to the harmonious expansive flow and wisdom of the universe - the more miraculous synchronicities may be experienced. Because of the "Law of Free Will", Spirit will not interfere in your life without being invited in. The more areas and issues you ask spirit to work on, the more spirit will be able to help you. As you invite spirit into your entire life, eventually you will become that which you love - the very Embodiment of Spirit itself. To be a master is not an easy achievement - it requires one to be consistently on guard against ego attachment and identification with the material world. Once accomplished here in this density, that state becomes grounded in ones multi-dimensional being (from the lowest to the highest). 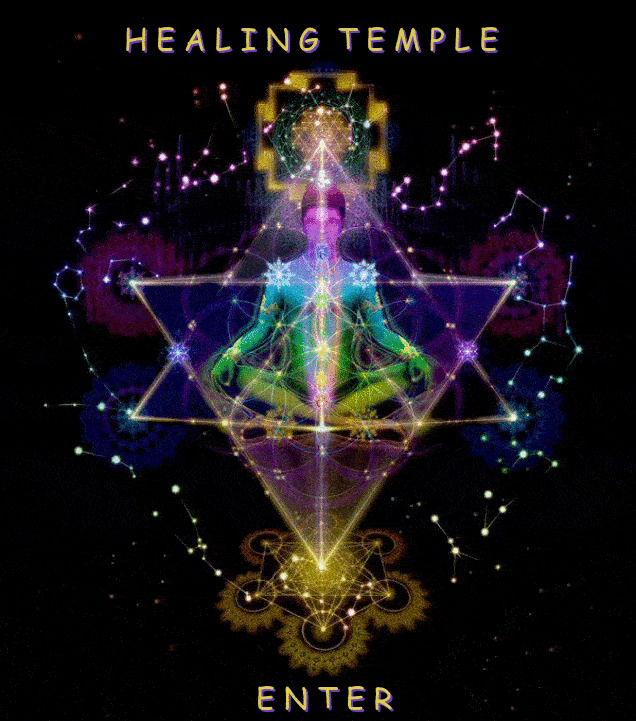 A being who is channeling or manifesting the essence, energy, and vibration of the High Self upon the earth plane - free of ego entanglement - is called an Ascended Master. To become an Ascended Master typically takes many lives devoted to ones spiritual path. Much is asked of the master in training.. thankfully, being nailed to a tree (crucified or martyred) is not one of them. Though many souls have been horribly persecuted and tortured for their beliefs, it is not a prerequisite on the spiritual path or to becoming a master. Sometimes the more difficult challenge is rather, not to go through such extreme experiences but to change ones eating habits, leave a co-dependent relationship, prioritize ones spending, or eliminate addictive behaviors. Perhaps journaling in a diary may be a step in the right direction, or meditating an hour a day, or receiving healing sessions... any of these and or something else may be required to develop self mastery. And what is right for one is not necessarily right for another, it all depends on your path, which is unique from person to person. In other words, there is no one way that fits all... but there is one way that fits you. However your path looks, it will be unique to you. As we are all unique individuals with unique histories and issues, our unique tests and challenges can be quite different than that which is asked of another. Thankfully, once you really "get" or master a particular experience, you usually don't have to do it again. To be a Master.. first be a Student of the Higher Self. The greatest problems on the path do not come from someone or something "out there" but from what lies within our own self. No matter what happens to us in life, we are personally responsible for the way we respond. To embrace this truth is the path of mastery. One day we shall liberate our consciousness from the last bonds of earthy attachments and realize that primal, unlimited, infinite place we once knew as innocent pure souls. “Is it really possible to experience the boundlessness of Spirit within the limitations of the human body?” Great Spirits overseeing the ascension of this planet and its inhabitants are constantly working behind the scenes to make this very goal a reality. They are doing everything in their power to make this come true.. for this is the “Divine Agenda”, “The Master Plan”, “The Grand Experiment” we have signed up for on Planet Earth. Sounds outrageous (and it is), but Spirit does not think small (nor should we). It is my understanding that those souls who miss the “ascension boat” in this “planetary cycle”* will not be able to remain in body on this planet after the shift, but will be transferred to another planet (one with a lower vibration) there to continue an education more in line with their more baser consciousness. rippling effects caused by a series of inner choices. but only through a change of consciousness. Conspiracy (con + spire) "to breathe together".